Looking around the room, Trish saw that her presentation was in trouble. Whether it was the slide on risks, or the one on budget, she knew that people were uncomfortable with her projections. The Gang of Six would probably follow Warren's lead, and Warren was unhappy. of rebuilding a team"From what I see," he said, "starting from scratch might be better than picking up where we left off. You agree?" Trish was ready. "The operative word is 'might,'" she began. "Resuming projects isn't our strong suit. Our estimates are soft. So yes, it might be better to start over. And it might not. My estimate is that starting over would cost between 90 and 125% of the cost of resuming. But, then, the result would be cleaner and more current. It's a tough call." 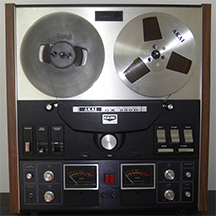 AKAI GX-260D tape recorder, which has a pause function. Photo by Erkaha CC BY-SA 4.0 via Wikimedia Commons. Warren wasn't satisfied. "But how could that be? We've spent — let's see — 8.3? — on this so far! How could it be cheaper to start over? And why can't you answer with a simple 'yes, it will be cheaper' or 'no, it won't'?" Trish, Warren, and the Gang of Six are struggling with one of the great paradoxes of project management: Resuming a paused project can cost more than starting over. The paradox lies in the conflict between the reality of the paused project and our own mental models of what's involved. Many have difficult memories of the project from the period just before cancellation. Many may have "moved on" to success elsewhere in the organization. Many are no longer employed within the organization, and even if they're willing to be rehired, rehiring policies often present obstacles. Current managers of former team members might not permit them to rejoin the team, or they might attach difficult conditions to their release. Selectivity in re-recruiting by team rebuilders can create resentments about the exclusion of some former team members and the inclusion of others. Educate the team rebuilders about the difficulties they can expect when they try to reassemble the team, and how to address those difficulties. Provide strong, public, and unambiguous support from top management. Conduct a retreat for the whole team, facilitated by experts in team re-formation, to deal with the challenges. Would you like to see your comments posted here? rbrenRZHGIfyMoCXgElrEner@ChacmTnrOKzmmWxZMjLJoCanyon.comSend me your comments by email, or by Web form. I offer email and telephone coaching at both corporate and individual rates. Contact Rick for details at rbrenkfFvCjoppUscEbzsner@ChacihBLjLOEWnyAdIlwoCanyon.com or (650) 787-6475, or toll-free in the continental US at (866) 378-5470.